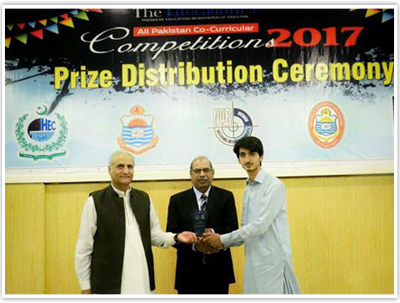 Another star in the galaxy of IAS, Mr. Huzaifa tur Razzam, and student of BS 2nd Semester won All Pakistan Qirat Competition with a cash prize of Rs. 1 Lac organized by Educationist in collaboration with HEC and University of the Punjab, Lahore. 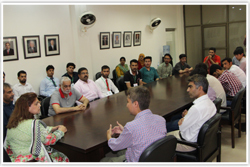 A delegation of 23 students and 2 teachers from Karakoram International University Gilgit Baltistan visited IAS on 26th April 2017. 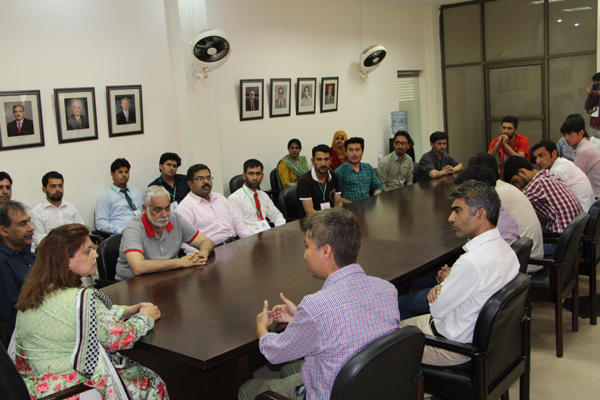 They were warmly welcomed by Director IAS, Prof. Dr. Nasira Jabeen, Mr. Muhammad Zahid and other faculty & staff members. IAS tour was given to the visitors and exchange program ideas were discussed alongwith research collaboration opportunities among both universities. 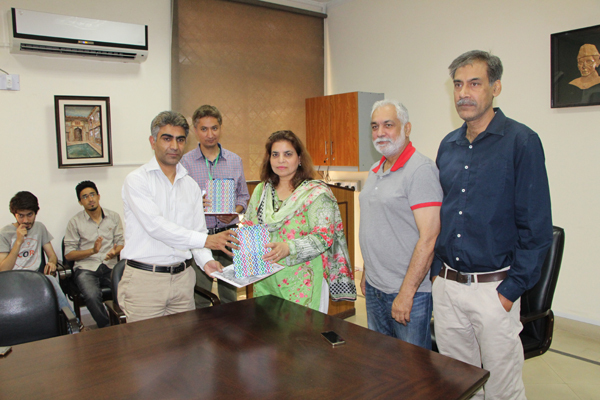 Special acknowledgement was given to Dr. Shahid Zia, an adjunct faculty member at IAS who coordinated with the delegation for a visit to IAS, PU. 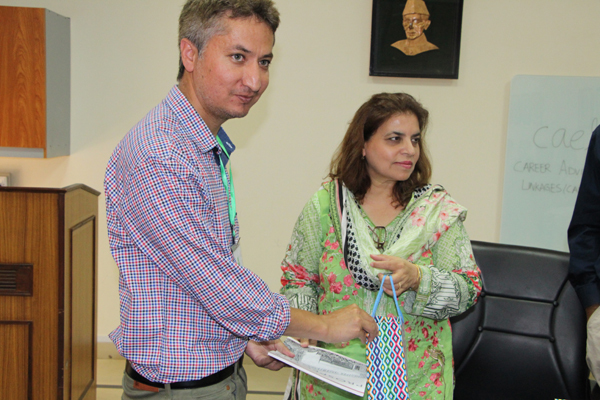 Souvenirs were presented to the delegation representatives. 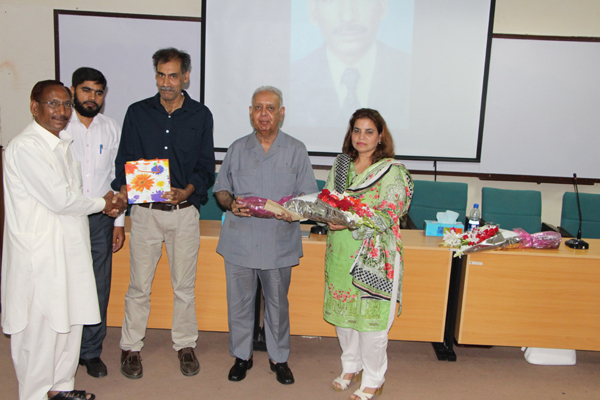 IAS organized a celebration to recognize the lifelong service of Mr. Rana Qadeer – Counter Assistant Library, on serving the institute for 42 years – the longest tenure. 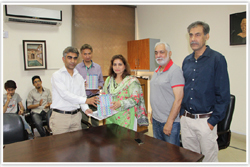 Prof. Dr. Nasira Jabeen delivered an appreciating speech for Mr. Qadeer’s services to IAS Library. Former IAS Librarians, Dr. Hina Batool, Ms. Ammara Malik and Ms. Leena Masood alongwith faculty and staff were present at the event. 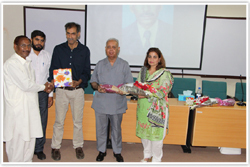 Mr. Qadeer was awarded with cash prize, IAS Souvenir pack and bouquet of flowers as a token of love followed by lunch with all staff members.